Michael James Bendon is a passionate archaeologist and researcher currently based in Sydney. Over the past 30 years, he has worked on numerous excavations around the Mediterranean, including sites in Israel, Egypt and Portugal, and has also directed a site in Germany. 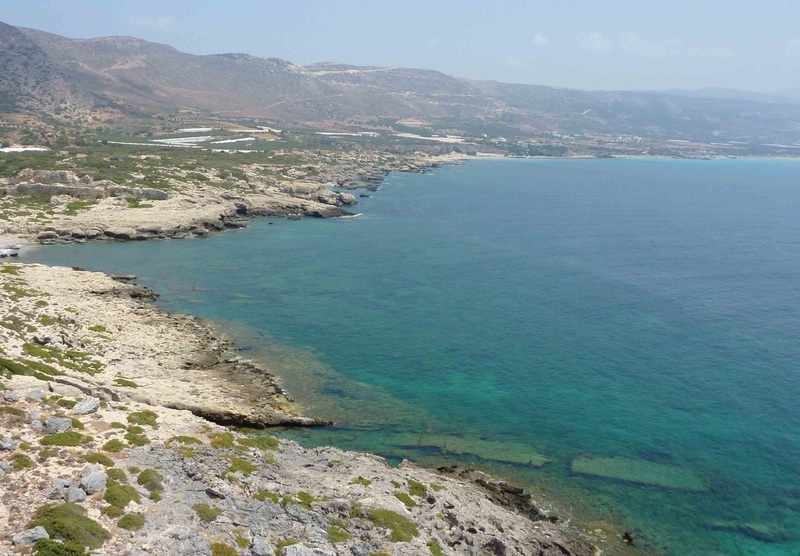 While participating with Dr Elpida Hadjidaki in the excavation of the Hellenistic harbour city of Phalasarna in western Crete in 2008, Michael took a lunchtime snorkelling break and became interested in what looked like a World War Two wreck. It sits in the entrance to the harbour of the ancient city in only a few metres of water. With the help of Elpida Hadjidaki, Michael Marder and Nike Marder, enquiries were made around the modern villages of Phalasarna and Platanos where an actual eye witness to the bombing of the first vessel was found. With the help of this local man, Giorgios Katzourakis the location of another of the wrecks was pinpointed. Another local, Giorgios Giorgilakis supplied further tales regarding the vessels and the German occupation of the area. The people of Phalasarna and Platanos were eager to help with the research into a part of their heritage. Fortunately, Nike and Elpida were able to translate questions and answers to assist with the research. Questions to the British, Australian, New Zealand and German Military Authorities drew blanks as it was likely these departments search only the immediately available official histories. The whole story became more and more intriguing. Over the years, with the help of many friends and associates in Crete and England, the story of the wrecks has become clearer and the research far wider. The wrecks turned out to be Tank Landing Craft Mk1, which were prototype vessels developed by the British and first deployed in the Eastern Mediterranean in 1941. Despite the crucial support these craft provided in the Mediterranean campaigns, nobody seemed to quite know what became of them. They were The Forgotten Flotilla. One day in 2010, Michael was brought in contact with John Sutton through a chance question posted on an internet forum. Seventy years earlier John had been the commander of the very craft that Michael had started research on after being introduced to the wreck site by Elpida and Nike. John agreed to tell his story as commander of TLC A6. By now, the scope of the research has widened to encompass all 30 of the TLC Mk1. There is still much to be discovered about the fate of most of them. Since they were classed as auxiliary vessels, the authorities did not keep an exact track of them. Follow the discussion forum on this page to keep informed about the latest discoveries or to contribute your clues to the hunt. In addition, Michael is giving regular presentations on The Forgotten Flotilla. Click here to find out when he will speak near you. Send Michael an email or leave a note in the discussion forum.